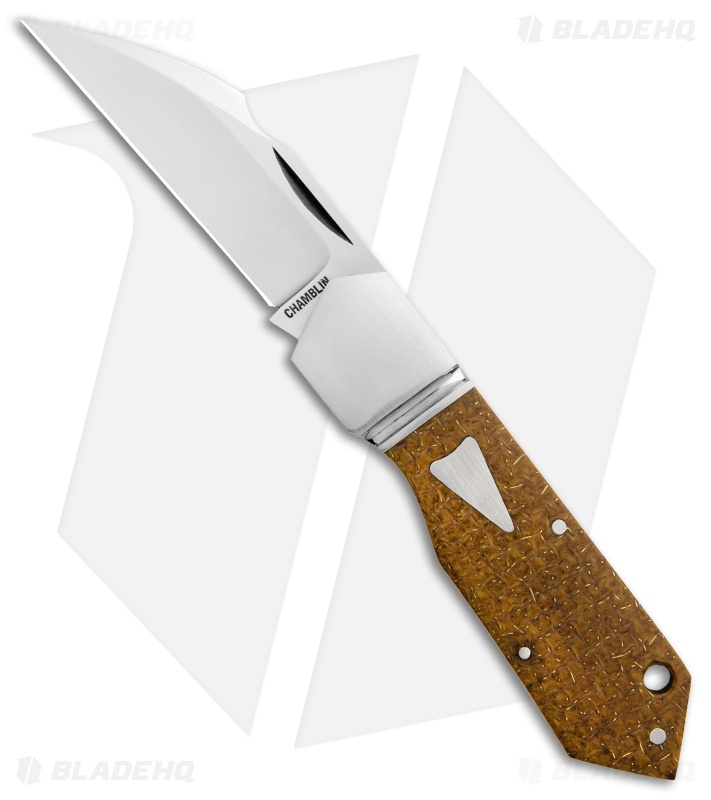 This custom slip joint knife from Chamblin Custom Knives offers a stylish design from Jared Van Otterloo. 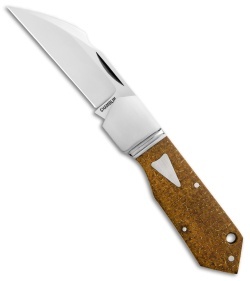 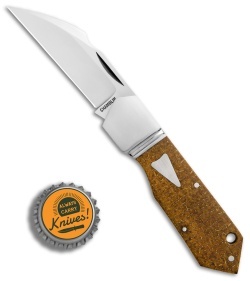 It's built with a wharncliffe style blade made from CPM-154 steel. 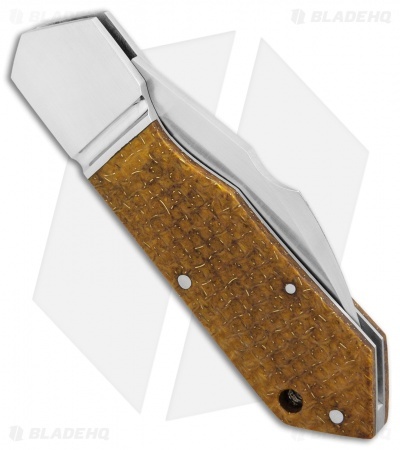 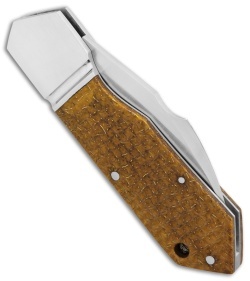 The handle features a stainless steel frame and bolsters with thunderstrike Kevlar handle scales. 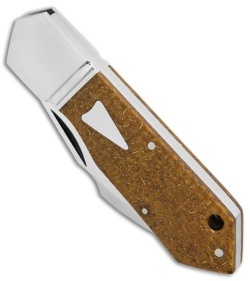 A stainless steel shield inlay completes the solid custom design.